The Florida Supreme Court Historical Society works to save and maintain for future generations the records of the people and events that have shaped the evolution of Florida’s court system from the early 1800s, through the 20th Century, and beyond. The Society is committed to making sure people understand the importance of a strong, independent judiciary in our governmental balance of power. 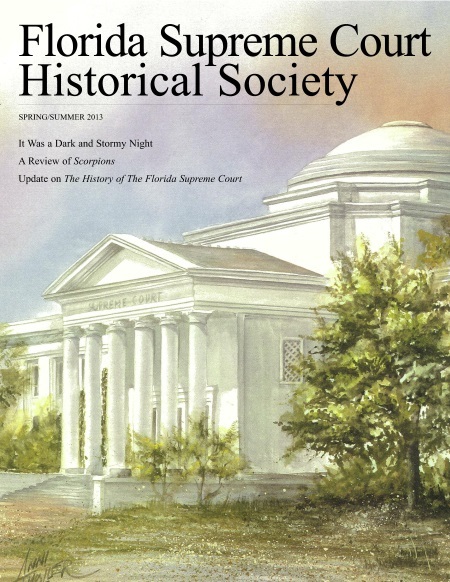 This publication has been sponsored by the members of the Florida Supreme Court Historical Society. 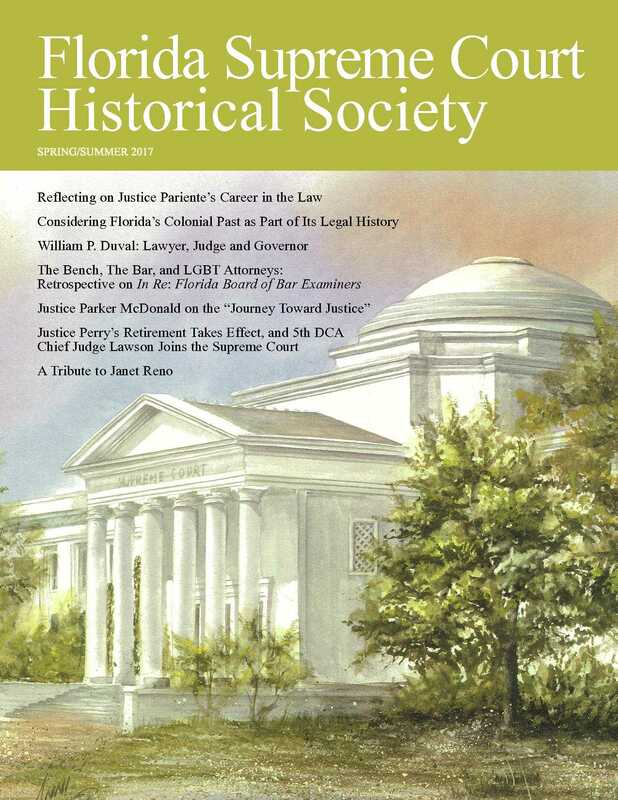 Nancy Dobson, and Henry P. Trawick, Jr.
Justice Parker McDonald on the "Journey Toward Justice"
By Joseph H. Lang, Jr.
A Detailed Account of Justice Ben F. Overton’s Time on the Florida Supreme Confronting His Own Prior Decisions. A Review of Gilbert King’s Devil in the Grove. A Look at the Miami Herald’s Struggle for Freedom of Speech in the 1940s. By Sylvia H. Walbolt and Daniel R. Walbolt, Sr.
A review of Scorpions (it. 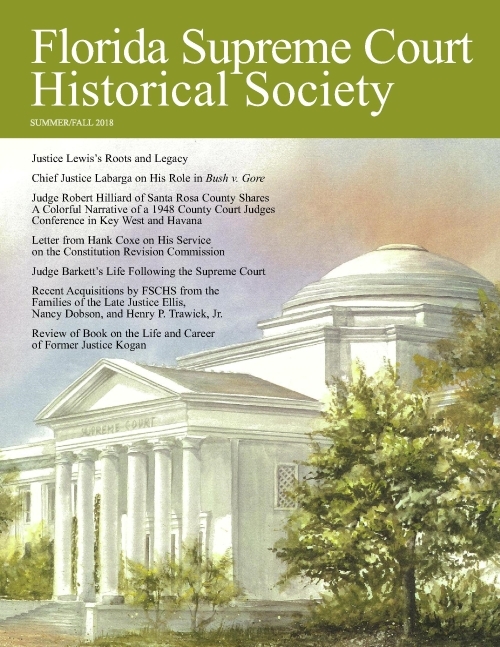 ): The battles and triumphs of FDR's great U.S. Supreme Court justices. By Susan Rosenblatt, Esq. Guest speaker, Principal Deputy Solicitor General of the United States, Neal Katyal, gave a detailed account of his defense of Salim Ahmed Hamdan, accused terrorist with alleged ties to Osama bin Laden, at the 2010 annual dinner. 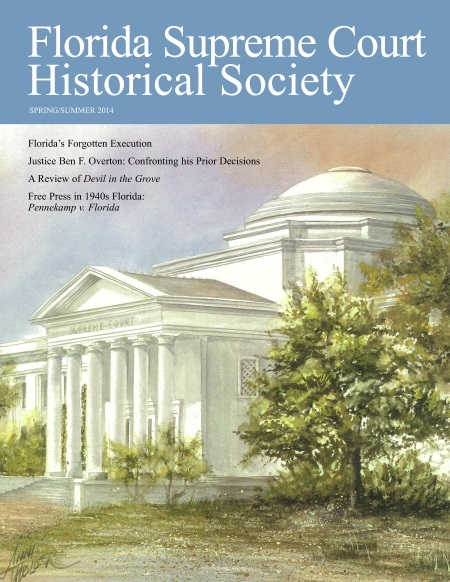 Florida Supreme Court's history from 1972 to the present.